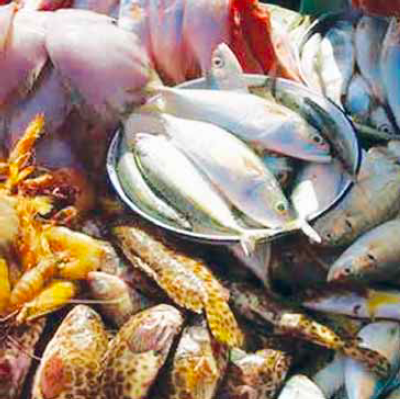 Philippine fisheries are administratively categorized into the commercial, municipal, and aquaculture sub-sectors. The municipal fisheries sub-sector is further classified into the coastal or marine municipal fisheries and inland fisheries. The Philippines has 266,000 square kilometers of coastal waters that comprise 12% of its territorial waters. Fishing in marine municipal waters is done by fishers, with or without vessels that have a capacity of 3 gross tons or less, within 15 kilometers from the shoreline, under the control of local government units of coastal municipalities or cities. 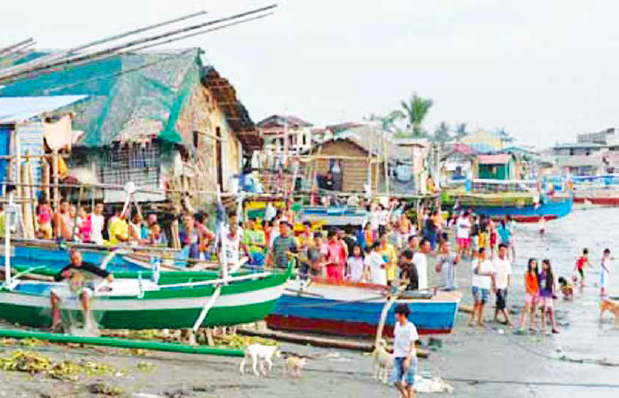 A municipal fishing village in Cavite. waters consisting of 246,063 hectares of brackish water and freshwater swamplands, and 250,000 hectares of lakes, rivers, and reservoirs, also under the jurisdiction of local government units (LGUs) and national power agencies (because, in the case of reservoirs, these are used for hydropower generation). In 2012, the fisheries production from municipal fishing was 1,280,422 metric tons (26% of the country’s total fisheries production), 85% of which was from coastal waters and 15% from inland waters. The National Statistics Office reported in 2002 that there were over 1.3 million municipal fishers. The major fishes caught by coastal fishers include roundscads, mackerels, sardines, and anchovies, using gill net, hook and line, and ring net. Fishers in inland waters catch tilapia, carp, mudfish, catfish, and gouramis with gill net, hook and line, and fish corrals. Fishing in coastal municipal waters. 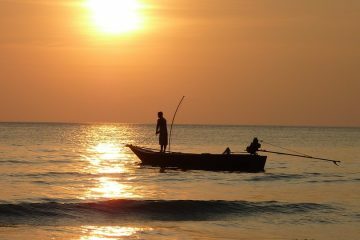 The production of fishes caught in the coastal waters of the country declined from 1.67 million metric tons (mt) in 1994 to 1.1 million mt in 2001, indicating a leveling off. The drop is attributed by fisheries scientists to biological and economic overfishing. Coastal areas of traditional fishing grounds are overfished. 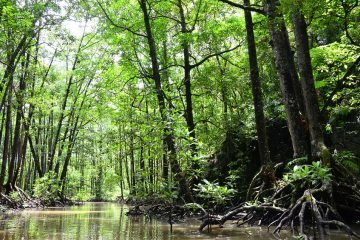 The annual economic loss is about US$ 290 million yearly. 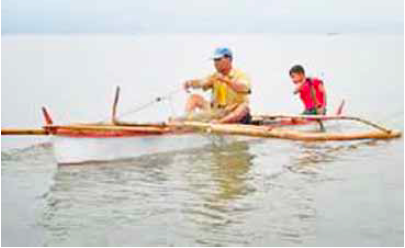 It has been reported that the catch rate of the majority of smallscale fishers in the Philippines is less than 10 kilograms per trip per day. The value of their catch has also shifted from high value to low value fish. According to the Philippine Statistics Authority, the poverty incidence of municipal fisherfolk is the highest in the country at 39.2%, compared to the national average of 25.2%. Overfishing has also caused the depletion of indigenous fishes in the inland waters of the country such as the freshwater sardine, Sardinella tawilis, in Lake Taal (Batangas), and the world’s smallest commercial fish, the ‘sinarapan’ (Mystichthys luzonensis) of Lake Buhi (Camarines Sur). Pollution from agricultural (i.e., fertilizer and pesticide run-off) and aquacultural (i.e. organic wastes from feeds) sources has brought about eutrophication (a form of water pollution that results from excessive fertilizer runoff into bodies of water) in many lakes, triggering ‘fish kills’ or sudden and heavy mortality in the fish population. The indiscriminate introduction of exotic freshwater fishes such as the Asiatic catfish (Clarias batrachus) has caused the loss of the indigenous Clarias To address overfishing in our municipal waters, the Philippine Fisheries Code of 1998 (RA 8550) was enacted “to ensure the rational and sustainable development, management and conservation of the fisheries and aquatic resources of the Philippines,” among others. 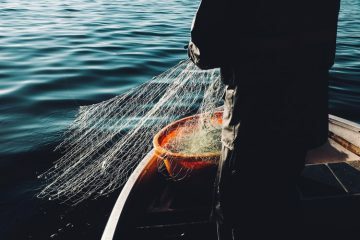 The law bans the use of active fishing gear such as trawls within municipal waters, increased the mesh size of fishing nets to 3 centimeters, and made possible the temporary closure (closed season) of overfished fishing grounds. Recently, RA 8550 was amended into RA 10654 to strengthen fisheries laws against unauthorized, unreported, and unregulated fishing, in conformity with international agreements. Fishing in a freshwater lake. The establishment of marine protected areas (MPAs), a strategy for protecting and conserving highly productive ecosystems such as coral reefs, has also been promoted throughout the country. With fully protected marine areas, moderate to high fish biomass and abundance, compared to the low fish biomass of unprotected areas in the Visayas region, have been reported by marine scientists Angel Alcala and Edgardo Gomez. 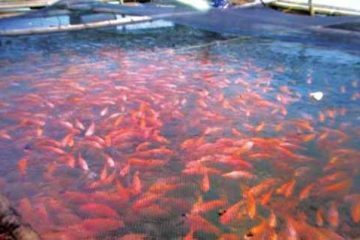 For inland fisheries, the stocking of inland waters with tilapia fingerlings is being done by the Bureau of Fisheries and Aquatic Resources (BFAR) for fisheries enhancement. 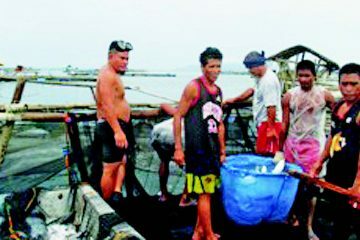 Fish sanctuaries in municipal waters have been established by LGUs to prevent overfishing and conserve natural stocks. 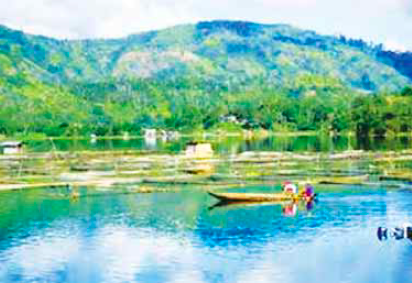 There is also the ongoing National Inland Fisheries Enhancement Program of the BFAR that includes 36 minor lakes and 320 reservoirs to determine the productivity profile of such water bodies and enhance habitat restoration and physical rehabilitation, according to fisheries scientist Adelaida Palma. This appeared in Agriculture Monthly’s June 2015 issue.